This summer, I’ve been learning more about in-season produce. In the past, I assumed that fruit grew all summer long. I knew certain fruit tasted better during certain months, but didn’t realize that you couldn’t find fresh strawberries, for example, in late June. I learned this lesson the hard way, as I showed up every weekend at Tower Grove Farmers’ Market looking for strawberries…and instead found overflowing pints of blueberries. I’m somewhat ashamed to admit that it took me three weeks before I realized that strawberries were gone for the summer…and they weren’t coming back. I’m not complaining, though. I bought one of the overflowing blueberry pints on a whim, and realized that I had a great excuse to try many of the blueberry recipes I’ve been saving up. 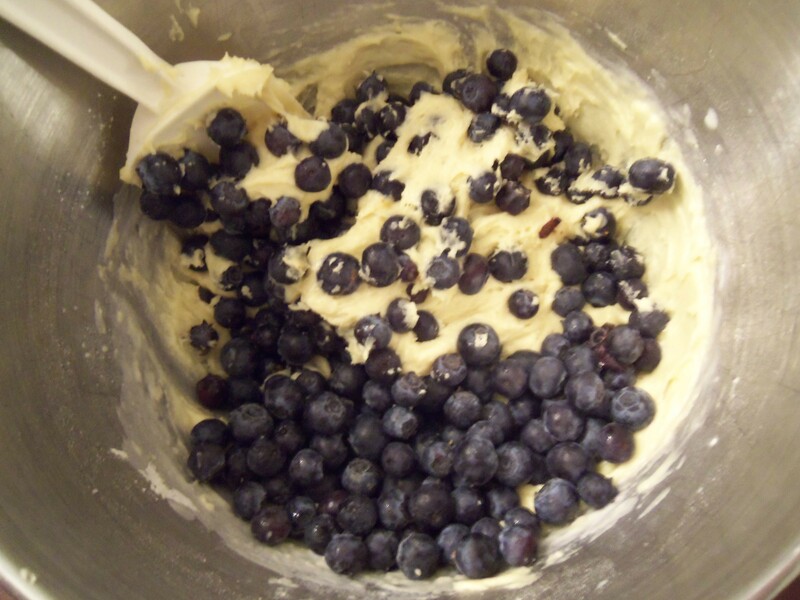 A few weeks ago, I made Brown Sugar Blueberry Cookies. 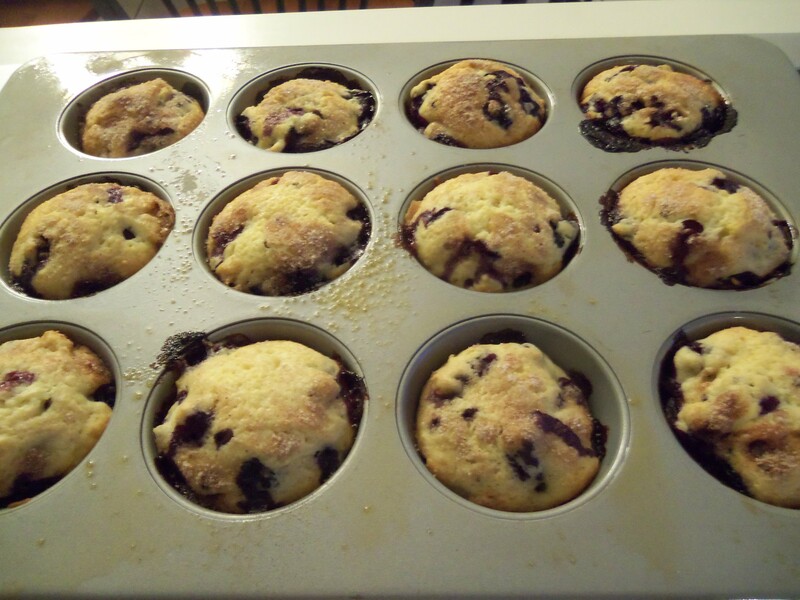 This week, I went traditional and made Blueberry Muffins. 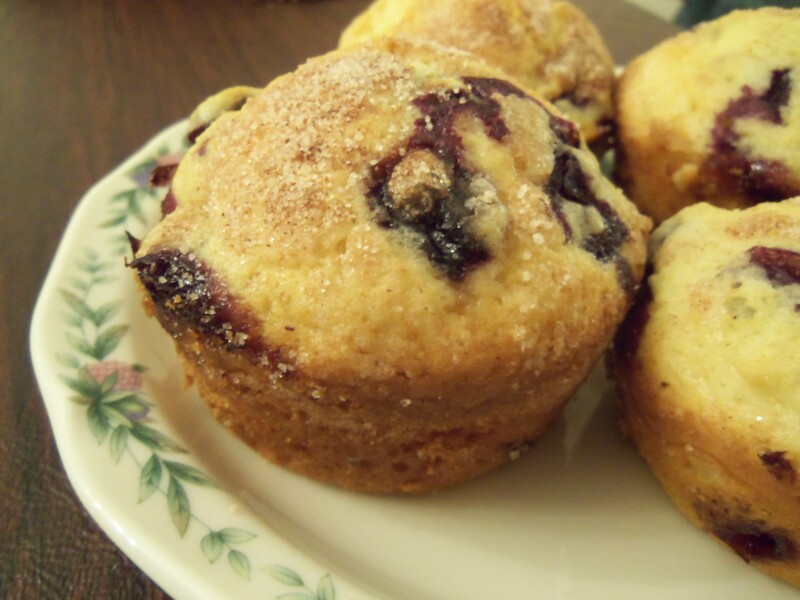 These muffins were moist, fluffy, and chock-full of Farmers’ Market blueberries. I sprinkled the top of each muffin with a combination of cinnamon, nutmeg, and sugar, which reminded me of the cinnamon-sugar toast I used to eat when I was little. 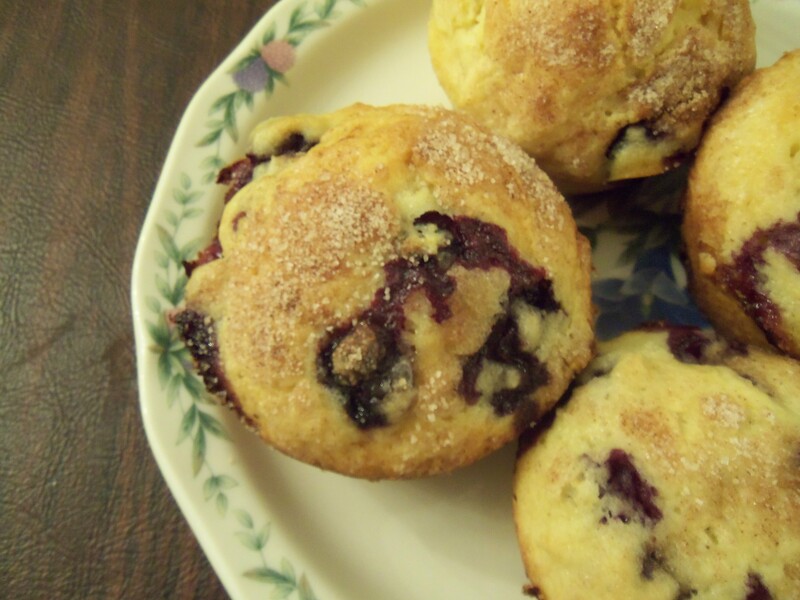 I didn’t use muffin or cupcake liners, and looking back I wished I had…There were so many berries in the batter (2 1/2 cups) that during the baking process, they began to pop and explode. This made for delicious muffins, but also a very unappetizing-looking baking pan (photo note: see blackened blueberry juice on the upper right-hand corner). With the mixer on low, fold in half of flour into batter, then half of milk; repeat. Bake 15 to 20 minutes, until golden brown and springy to touch. (I baked mine for about 26 minutes, but I would check the muffins every few minutes or so after 20 minutes). This entry was posted in Muffins, Uncategorized and tagged baking, blueberries, blueberry muffins, breakfast, butter, cinnamon, dessert, eggs, farmer's market, farmer's markets, fresh produce, fruit, market, nutmeg, snack, sugar, summer. Bookmark the permalink.